The world has entered a Second Space Age, marked by an intensification of our interactions and reach into outer space. A core part of the international Space Security Index project, managed by Project Ploughshares, is to look holistically at how states, companies, and people around the world access and make use of this domain. Looking to the year ahead, five storylines stand out for their ability to illustrate how this age will unfold and who will benefit. Current global momentum in accessing and using outer space should not be seen as a Kumbaya moment. Like the first Golden Age of Space, it is underpinned by strategic competition, military tensions, and a growing focus on the potential for warfare in outer space. 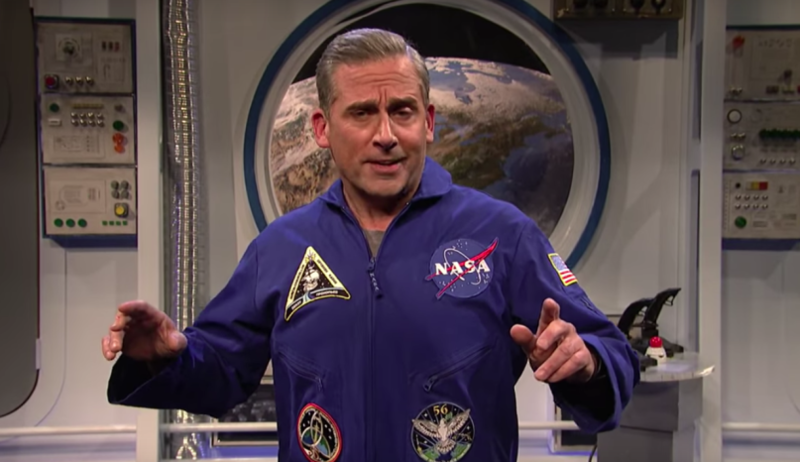 A big story in 2018 was the evolving saga of a U.S. Space Force (since fictionalized in a Netflix series by Steve Carell called Space Force). This is an effort to consolidate and assert U.S. military capabilities in space as the nation faces growing competition and vulnerability. But it also is evidence that the prevailing norms that have stabilized relations in outer space – including an emphasis on peaceful use and non-weaponization – are dissolving. The U.S. think-tank CSIS describes the current era in space as “diverse, disruptive, disordered, and dangerous.” In this context, the three dominant military players – the United States, Russia, and China – each accuse one another of seeking to weaponize space. Not mere rhetoric, counterspace capabilities are accelerating. In the absence of new mutual restraints – either global agreements or bilateral understandings – it’s not clear how much longer outer space will remain an environment defined by peaceful use and non-weaponization. But prospects for new constraints in the short term are poor. Although they aren’t covered on the front pages of newspapers or trending on social media, events related to the governance of outer space are having a critical effect, for both good and ill. The UN Committee on the Peaceful Uses of Outer Space (UNCOPUOS) finalized agreement on an initial list of guidelines intended to promote the long-term sustainability of outer space. This marks a critical diplomatic achievement in space governance and growing global awareness and commitment to the preservation of this fragile environment. Looking to the future, this achievement suggests a viable path for forging additional rules to guide the next generation of activities in outer space. But more contentious security-related operations are not covered. There is evidence that discussions related to the prevention of an arms race in outer space at the Conference on Disarmament are inching forward, along with such new initiatives as discussion of the the implementation of transparency and confidence-building measures (TCBMs) at the UN Disarmament Commission and the formation of a UN Group of Governmental Experts (GGE) on Prevention of an Arms Race in Outer Space (PAROS). From a disarmament perspective, it’s the best of times, but also the worst of times. Fed by accusations by all sides that competitors are developing weapons to use in outer space, the growing military standoff in space is increasingly apparent in diplomatic settings. Acrimony at the UN First Committee on International Security and Disarmament continues to escalate, eroding previously hard-won sources of consensus on the pursuit of TCBMs and the prevention of an arms race in outer space. More than at any time in recent memory, the effects of military tensions threaten to breach the boundaries of Earth. For the first time since the Apollo program, we are in a moment in which we could expand humanity’s presence beyond Earth. This year kicked off with the landing of China’s Chang’e 4 robotic rover on the far side of the Moon. This is a historic first that represents both a technological feat and a new drive for human exploration, colonization, and resource extraction on other astronomical bodies and planets. As well, there is a growing momentum to create a new international space station in lunar orbit as a gateway to deep-space exploration, led by NASA with cooperation from civil space agencies including Russia’s. The European Space Agency is promoting a plan for a global Moon Village. Although delayed, India’s second robotic mission to the Moon is expected to launch later this year. This renewed drive to explore other planets is no longer restricted to states. Moon Express is expected to be the first private company to land on the Moon in 2019. Japanese citizen Yusaku Maezawa has paid SpaceX $10-billion to become the first tourist to circle the Moon, possibly by 2023. Human settlements are also the long-term goal of billionaires Elon Musk (SpaceX) and Jeff Bezos (Blue Origin), who are funding innovative new space launch capabilities. The focus on the Moon and beyond is even generating novel cultural initiatives. The nonprofit organization For all Moonkind has gained significant momentum in mapping humanity’s cultural heritage on the Moon. Efforts to extend human reach beyond Earth are about more than science and exploration. Many are governed by visions of resources, including a wealth of minerals. Future mining expeditions by private companies are raising questions about who should have access to such riches. Commercial activity in outer space – increasingly funded by private investment – is driving innovation in how we access and make use of outer space. Space launches garnered huge headlines in 2018. Consider the first orbital launch by Rocket Lab and the unforgettable launch of SpaceX’s Big Falcon Rocket (BFR) – Tesla and all. But it is the proliferation of small launch capabilities that will have the biggest impact in the near future as they open up access to space for many more and new actors. Beyond the headlines is a more transformative shift as the private space sector changes basic assumptions about who uses space and how. Commercial ventures are driving new services such as persistent imaging of every corner of the Earth, space-based Internet, and blockchain, putting space at the centre of our data-driven world. Experimentation in new services, including 3D printing, satellite servicing, and the extraction of resources, reveal the private sector as an increasingly strategic actor in space. Implications could be life-changing on Earth, but raise questions about universal access and benefits. Increasingly, humans are looking to space assets to improve the quality of life on Earth. This perspective was captured by the 50th anniversary meeting of the United Nations Conference on the Exploration and Peaceful Uses of Outer Space in 2018. The goal of this meeting was to chart the future of cooperation in space and consider how space can be used to benefit humankind, particularly in achieving the Sustainable Development Goals (SDGs). UN Ambassador for Space and former U.S. astronaut John Kelly urged participants to mobilize space capabilities to take care of this planet and its people. This is the goal of the new Space 2030 agenda: to leverage collaboration to use space to meet the SDGs. Efforts to reap greater benefits from space are evident in huge national investments. In 2018, a flurry of new space agencies and programs took shape around the world, including in Australia, Turkey, and Zimbabwe. Many countries, including Kenya, Bhutan, Jordan, Costa Rica, and New Zealand, had their first satellites launched. New cooperative ventures to extend access to outer space and space-based data – including a partnership between China and the UN Office of Outer Space Affairs (UNOOSA) to provide access to China’s future space station, and efforts to make space data publicly available – also stand out. How can we share the benefits of space applications, exploration, and resources? What values should govern our ventures into space? As humans make this new leap into the unknown, how can we curb our worst impulses for exploitation, violence, and warfare?